I know, I know, we shouldn't be talking about the holidays just yet. 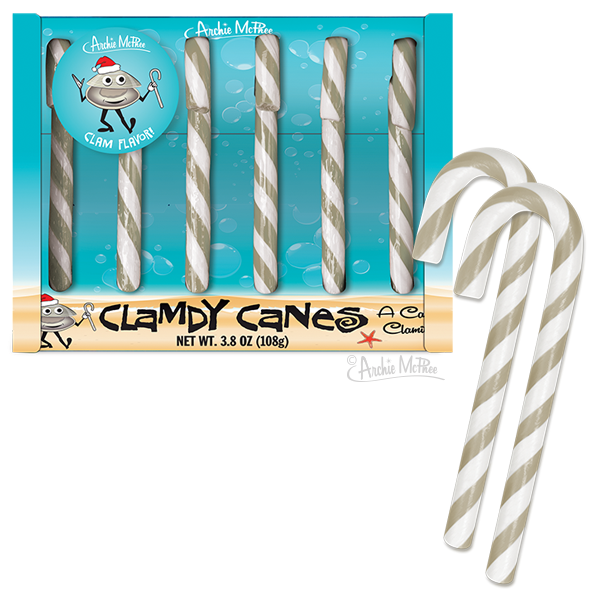 But, keep clam, Archie McPhee went ahead and released Clamdy Canes -- yes, candy canes that taste like clams -- and I couldn't resist sharing the news with you. A box of six is available for $4.95. Krautrock pioneers Can's version of "Silent Night"
In 1976, German experimental group Can, pioneers of the krautrock sound, released “Silent Night” as a 7″ single. Fröhliche Weihnachten!